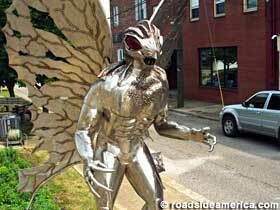 The Mothman has a pretty famous icon in the US particularly in West Virginia. In the town of Point Pleasant (the location where the Mothman was first spotted.) rests a statue and museum in its honor and the town even hold an annual fair to commemorate the Mothman. Although Point Pleasant is often credited with the legend of the Mothman, James Renner, author of It Came From Ohio, argues that Salem, Ohio is where the mysterious Mothman was first sighted. Although it is fair to say that similar sightings can be seen for ages much further back. Renner mentions the Thunder bird and other legendary creatures of old that could have also been Mothman. However, I have read from various sources that the origin of the Mothman could be linked to an owl or crane. The descriptions of the Mothman given by witnesses often lack fine details and what they do remember (usually the bright glowing eyes and large feathered / mothy wings) could be attributed to large birds of the area, for instance barred owls. In other news the Mothman Prophecies was checked out of the library, so I will sadly be able to use it as a reference for my research. Excelsior! After receiving Hidden Animals, from Summit I was rather disappointed with the information pertaining to the Chupacabra. It had 2 pages on the subject and was little more than a recollection of every "Chupacabra" encounter since the 1970's. This source also proved of little use because the dates of the first Chupacabra sightings are contradictory to those I have found in a few other sources. Finishing the summary with a list of possible theories as the what the creature is this book offered little new information and no personal investigation as to the origins of the creature. I had a lot more luck with the journal Skeptical Inquirer. I found 3 interesting articles regarding Chupacabra which unlike Hidden Animals had in text citations and sources I found very helpful. The only issue with this journal I had was a lack of variety in authors. I'm having a hard time finding anyone other than Benjamin Radford who has done extensive investigation of the Chupacabra, and this is keeping me from seeing other theories on the monster. Found a couple of new sites this week. been thinking more about how well the sites have been put together after our class monday. The information itself on the site seems really good. It is also a .edu site, however the pages are very lacking of anything other than text. It is bland and not very well put together. The accounts of the different werewolf sightings/tales in Germany (if true) are really cool however. The book that I ordered on the Jersey Devil finally arrived in the mail a few days ago. I was unable to get this book from Summit, or on interlibrary loan. It exists within the Summit system, but it is checked out until the end of February, and I needed it sooner than then. It was only three dollars from AbeBooks, which seemed reasonable enough. The book is written by James F. McGloy and Ray Miller, Jr., and it presents a history of the legend of the Jersey Devil, along with transcripts of various sightings of the creature, and an extensive bibliography in the back. I intend to use this book as my main source on the Devil, as it is the most extensively researched book in existence on the exclusive subject of the Jersey Devil. I also plan to seek further information from some of the sources that the book cites, as I expect they will provide me with more to study and critique. This is pretty common throughout the website. They know there isn't a lot of scientific research being done and they aren't claiming their evidence is anything more than what it actually is. They only claim that the tracks and hair samples they have do not match those of any other known animal. I believe this gives the website a good amount of credibility. Whether everything they are saying is factual or not isn't known. So overall, this is a helpful source and I will definitely use the information for my overall description. Today I found an article on WikiHow on How to become a Mermaid. Wiki How explains that becoming a mermaid is a multiple step process and if you act like a Mermaid and believe enough, then you could actually become a Mermaid yourself. Reasons why I think this article is bogus. 1. The steps are crap. How am I going to become a mermaid if I sing well and drink 8 glasses of water a day? 2. The video link is broken which is really frustrating especially because I thought there was going to be an awesome video of someone turning into a Mermaid. 3. There are no resources. How do the authors (whoever they are) know that these steps will work? There are many more reasons why I think that this article is bologna but it was funny to read. Remember- If you really want to become a mermaid all you have to do is BELIEVE. Eat, drink, and sleep with the thought of mermaids. It will come true if you truly want it to. Most scientists thought the Loch Ness Monster to be a plesiosaur but others say that Loch Ness is too cold and doesn't have a high enough abundance of fish to support a meat eating reptile like the plesiosaur. 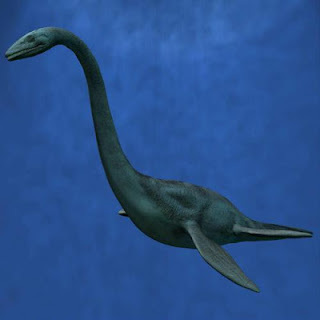 It would make more sense if some animal from the sea found it's way into the Loch as one scientist theory is. 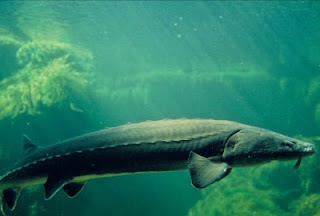 Researcher Adrian Shine's theory is that a "navigationally challenged Atlantic sturgeon" could have been the source of all the monster talk. If this was the case, however, the sturgeon would be long gone by now leaving nothing but the myth of the Loch Ness Monster behind.